Typically, in today's modern world, terror does not strike a mother's heart when her child has a sore throat or cough or the sniffles. Sure, we worry, but not the kind of worry that 18th and 19th century parents felt. Not the kind of worry you would feel if you had watched your mother, sister, and/or friend lose a child under the age of 5. Not the kind of worry you would feel if your neighbor had lost her whole family in a week to an outbreak of rubella or scarlet fever the summer before. 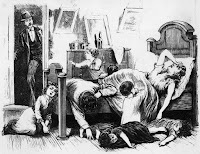 In 18th century Sweden every third child died, and in 19th century Germany every second child died. Before the middle of the last century, diseases like whooping cough, polio, measles, the flu and rubella struck hundreds of thousands of infants, children and adults in the U.S.. Thousands died every year from them. As vaccines were developed and became widely used, rates of these diseases declined until today most of them are nearly gone from our country. Nearly everyone in the U.S. got measles before there was a vaccine, and hundreds died from it each year. Today, most doctors have never seen a case of measles. More than 15,000 Americans died from diphtheria in 1921, before there was a vaccine. Only one case of diphtheria has been reported to CDC since 2004. The speculation that vaccines cause autism has been widely de-bunked so I won't even bother to rehash that. Instead, I pose the question - so what if vaccines did cause autism, or learning disorders or ADHD or allergies? Wouldn't that still be the better choice than death? It is likely that Mozart and Lewis Carroll were autistic. 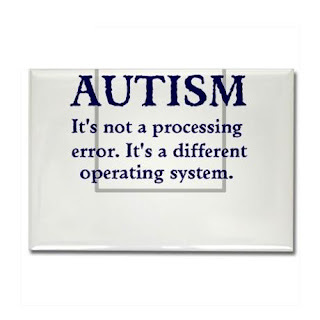 The Wikipedia list of famous people on the autism spectrum should remove any doubt that living with autism is a far preferable outcome than the return of deadly childhood diseases. 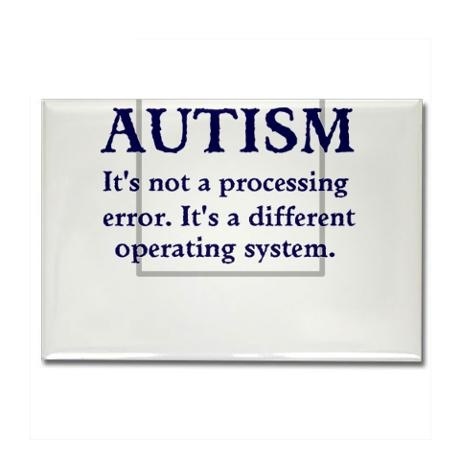 Autism means you are just different, not less than, and certainly not at risk of imminent death. *Centers for Disease Control and Prevention. **Still GF 1931 The History of Paediatrics. Oxford University Press, London and Colón AR, Colón PA 1999 Nurturing Children, a History of Pediatrics. Greenwood Press, Westport.